The Building Societies Association represents all 44 UK building societies and 4 large credit unions. Between them, our members serve more than 21 million consumers across the UK and are owned by their members. We have long supported calls for a Single Financial Guidance Body (SFGB) and welcome the proposal to move regulation for Claims Management Companies to the FCA. We do however have some concerns about the delegation of advice delivery, in particular ensuring the new SFGB uses these powers to avoid duplication. We believe the levy could be collected from a wider group of industries as consumer debt advice benefits other sectors, such as utilities and local government (via council tax). The Bill says that the SFGB ‘may’ delegate delivery of its functions. It is important that the new body uses this power to avoid duplication of existing activity. In the past mistakes have been made when a body has tried to provide all the functions itself without harnessing the work already underway. It is therefore particularly important that the new SFGB uses this power of delegation and coordination. The Bill proposes that the FCA be allowed to make rules to recover some of the funding for the new body from the Financial Service Levy. As a principle we believe that funding should be sourced from a wider range of industries that have a responsibility to consumers and benefit from consumer debt advice without having to pay for it – the ‘polluter pays’ principle. In this case it would include utility industries (e.g. energy and telecoms) and local government (in the case of Council Tax collection). Currently the debt advice part of MAS is paid for solely by banks and building societies (via the deposit acceptor and home finance provider fee blocks set by the FCA). 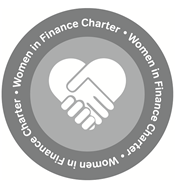 In our experience as a sector that contributes to financial guidance funding through both the FCA and debt advice charities, we have found that working with other industries encourages a sharing of best practice and encourages different industries to take ownership of the issue. We support the proposal to give the FCA the power to regulate Claims Management Companies (CMCs). This is in part due to the additional resources the FCA have when compared with the Ministry of Justice CMC unit and the additional requirement CMCs will have to comply with conduct rules. In our experience this would be beneficial for consumers in the area of financial services. While we do not advocate regulatory price fixing in principle, the CMC pricing model, which can charge customers as much as 40% commission on redress they are awarded, needs to be examined in terms of fairness to customers. This is particularly the case given that customers do not generally need the help of a CMC to bring a complaint to the Financial Ombudsman Service, which is simple to use and free to complainants (as it is paid for by regulated firms).